What Happens in a Nasal Allergy Attack? These are the things that set off your symptoms. And they can be anywhere. 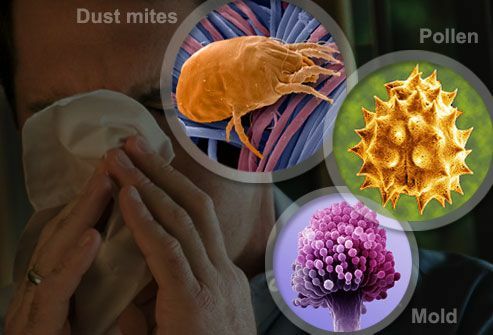 Some of the most common are pollen, ragweed, grass, pet dander, dust mites, and mold. If you're allergic to any of those, it means your immune system, which protects your body from threats, is sensitive to one or more of these usually harmless things. It’s super easy to come in contact with allergens. You can do it while chasing after dust bunnies, playing with your pet, or just walking out the door during allergy season. 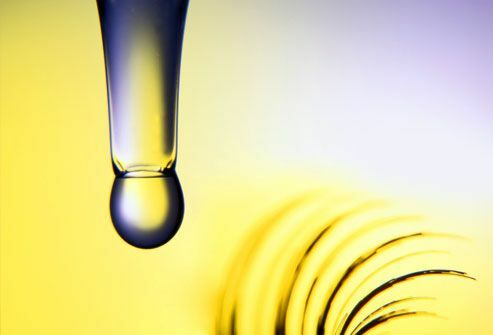 All it takes to set off a reaction is to touch, swallow, or inhale an allergen. Normally your immune system targets and protects you against threats like viruses and bacteria. 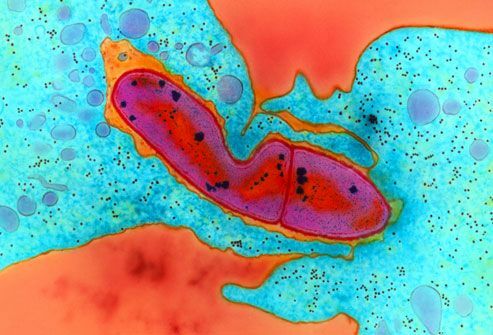 Here you can see some bacteria (pink) being surrounded. But if you're allergic to pollen, for example, your body sees it as a threat. 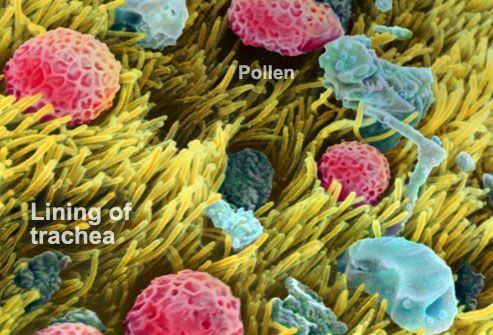 So any time you're exposed to pollen (or another trigger), your immune system gets ready for a fight. 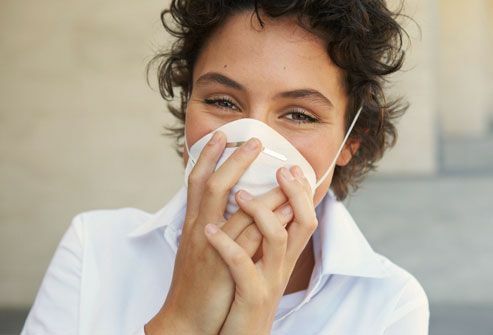 Once an allergen enters your body, your immune system makes proteins called antibodies. 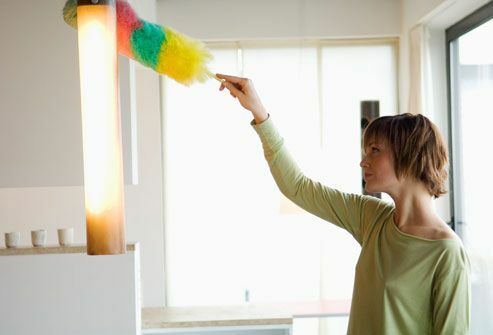 They help look for and then get rid of the allergen. 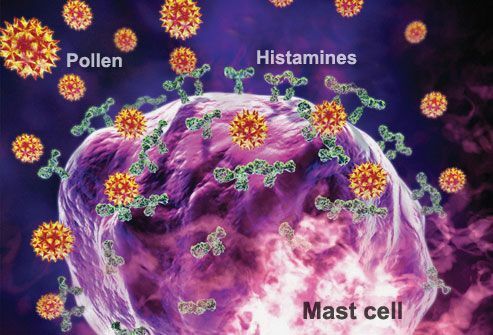 When antibodies find an allergen, they alert blood cells called mast cells. They, in turn, release chemicals like histamine. That’s what causes inflammation. 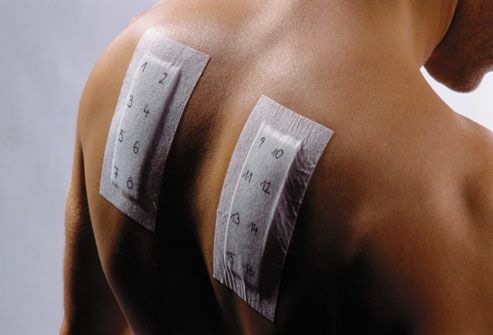 Tissue around small blood vessels tightens. Fluid escapes. That's how you end up with a runny nose, swollen nasal passages, and congestion. 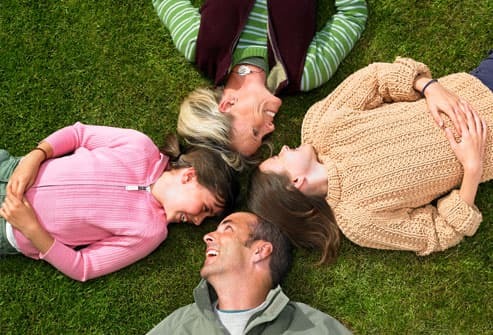 Allergies are another thing you can thank Mom and Dad for. They usually run in families. When both parents have allergies, their child’s chance is about 60 to 70%. What you're allergic to also depends when and how much you're exposed to triggers. Some allergies can take years to develop. It's easier said than done sometimes. The main method it to avoid triggers when you can. Check pollen or mold reports before you go outside. If levels are high, think about wearing a mask. During allergy season, shower before you go to bed so you don't sleep with pollen in your hair. Keep your windows closed and run the air conditioner. Also, vacuum twice a week to cut down on allergens. Over-the-counter medications like antihistamines, decongestants, eye drops, and nasal sprays can help control your symptoms and provide some relief. Ask your doctor or pharmacist which one might be best for you. If you don’t know what’s causing your allergies, or if they’re severe, it's probably a good idea. An allergist or immunologist will take your medical history and may do tests. They expose you to possible allergens to see which ones cause a reaction. Depending on the results, your doctor may suggest prescription medications or allergy shots.